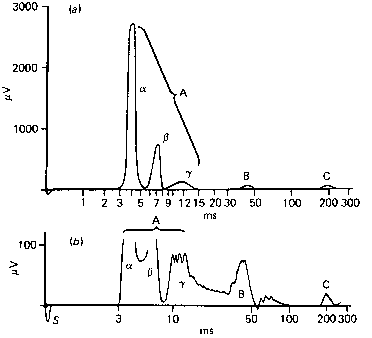 The early work of Sheetz and Singer work emphasised the role of lipid composition in bending of membranes (Fig. 3a). Natural membranes do it in different ways. The simplest method to conceive of is enzymic modification of existing lipids, reducing the headgroup size or charge, or by removing an acyl chain, for instance. One example of this is the induction of stomatocytic change in red cells by treatment of red cells with external sphingomyelinase, that presumably reduces the lipid content of the external leaflet by destruction of one of the main externally-facing lipids . Other workers have shown a similar effect in giant liposomes . Interestingly, the intracellular pathogen Neisseria gonorrhoeae employs a similar mechanism to gain entry to cells by prompting inward membrane bending, and subsequent endocyto-sis, by digesting external sphingomyelin . Another way of changing the relative composition of the leaflets of the bilayer is to pump lipids from one leaflet to the other. All human cells contain at least one 'aminophospholipid flipase', an ATP-dependent membrane pump that is capable of transferring phospholipids from one leaflet to the other. The easiest phospholipid to study is PS. Although the existence of this system has been known for decades, its molecular identity remains enigmatic . An 'ATP-binding cassette' (ABC) type protein is the obvious choice, but although such proteins do exist in the red cell membrane, proof of its function has been hard to find. The composition of the bilayer could be influenced by either an abnormality in the lipids present in the surrounding plasma, which slowly exchange with the red cell, or conceivably in the completely uncharacterised system which preserves the relative proportions of PC, SM, PS, PI, phosphatidylethanolamine (PE) and cholesterol in the membrane. Presumably this regulatory system involves some kind of lipid exchange protein, but this has never been identified. The human anaemia once known as 'hereditary hyperphosphatidylcholine haemolytic anaemia' , now known to be identical to 'dehydrated hereditary stomatocytosis' or 'hereditary xerocytosis'  shows an excess of PC compared to PE and PS. The exact molecular cause remains unknown, but the condition is known to map to a locus on chromosome 16 . Cytoskeleton, connected to membrane by electrostatic bonds. Contraction of cytoskeleton bends the membrane. Normal conformation of integral membrane protein X is found in flat membranne.